A dream was birthed from the conception of my diagnosis. I had a far-fetched aspiration to go to The Ellen DeGeneres Show. Never once did I think this dream would become a reality. In fact, had you told me that my name would be spoken by the woman herself, I would have probably laughed at you. Sitting next to Ellen and having a conversation with her? Ya right. Out of the millions of viewers that tune into her show daily, who was I to stand out in the sea of inspirational stories? I have tuned in to The Ellen DeGeneres Show for years. Her candid humor, contagious spirit, and positive message are infectious. She offers uplifting perspective, guttural laughter, and the latest updates on celebrity news. Her generous nature is apparent on every show, as she honors a wide array of everyday heroes. Never once have I watched an episode that I haven’t both laughed and cried in. She’s that good. Throughout my seasons of cancer treatments, Ellen DeGeneres has always been a ray of sunshine in the midst of my dark days. No matter how sick, gross, or pathetic I felt, her show was the perfect remedy. Laughter truly is the best medicine, and Ellen has a doctorate in spreading happiness. I do not enter contests. I have never won anything. I’ve purchased two lottery tickets in my life and was unsuccessful. However, a few months ago, I serendipitously came across a CoverGirl contest that The Ellen DeGeneres Show was hosting. Ellen herself is an Easy, Breezy, Beautiful CoverGirl and the two joined hands in the recent #bombshelling movement. Among the many variations of the term, bombshelling simply means, “the act of being a bombshell; embracing your inner diva.” The contest invited people to share a selfie and their own inspirational story. Without a second thought, I quickly snapped a photo of myself. No wig; Bald in all it’s glory. Light makeup, and a cute chevron scarf. I then drafted a summary of my adventures and lessons through cancer and submitted my entry. Not thinking twice. Quite skeptical in fact, I figured I would never hear back. I don’t win anything, after all. My husband, Matt arrived home from work, and I nonchalantly mentioned that my entry was forging its way among the thousands of others. His response was far from noteworthy, and my news didn’t evoke more than a shoulder shrug. He was all too familiar with my contest history, or lack thereof. We continued our daily life, and I didn’t give the CoverGirl bombshelling contest much thought. Months later, to my complete and utter shock, I received a phone call from the show. They had sifted through entries and wanted to hear more about my story. At the moment, I couldn’t believe it was happening. 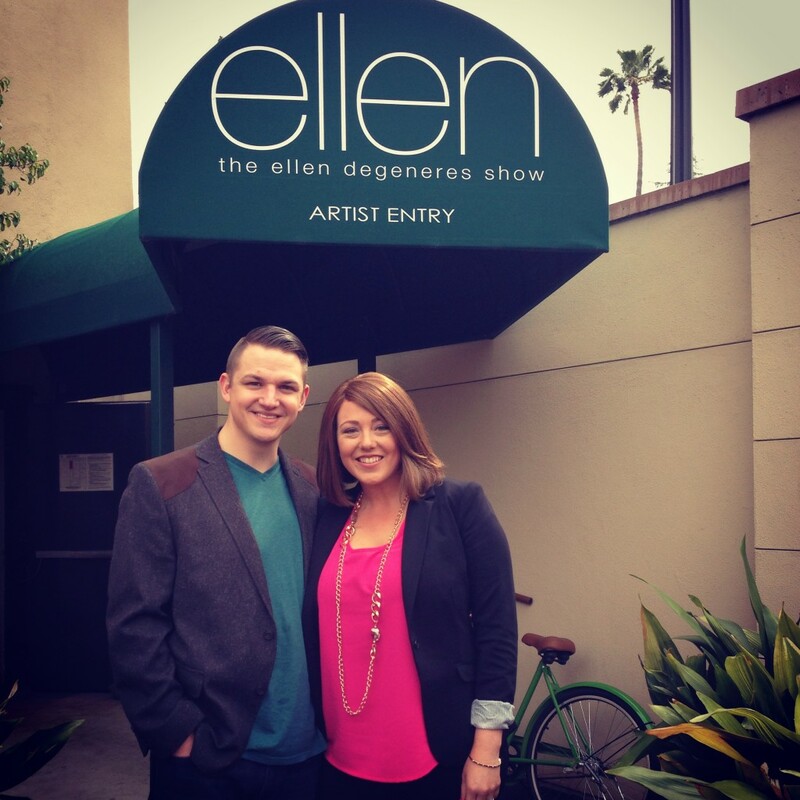 A few phone conversations later, and we were invited to sit in the audience at one of Ellen’s tapings. The smile cemented on my face stretched from ear to ear. I could not contain my excitement. Matt and I were elated. My dream was coming true! Before we knew it, the whirlwind of anticipation and enthusiasm had swept us up and we were walking through the doors of The Ellen Show studio. I felt like a kid in a candy store — grinning and giggling as I was unsure of what to look at, what to take in, and in awe at the wonders of the studio itself. Matt and I found our seats and with the rest of the audience on all sides, were welcomed into a massive dance party. If you have watched Ellen, you know that her show is widely centered around dancing. She moves and grooves. The audience gets jiggy wit’ it. Her guests bust a move. It’s a party, and no one is left out. Halfway through the show, my cheeks were in full-on workout mode from the smile that remained plastered on my face. The energy of being in a studio, clapping, dancing, and laughing with hundreds of others is unparalleled. Happiness was spread like wildfire. Just as the last segment was underway, Ellen began sharing that she was a CoverGirl. At that point, I firmly grabbed Matt’s leg, and I’m sure my eyes grew twice their original size. With the next blink of my eyelids, a familiar photo was displayed on the back screen. 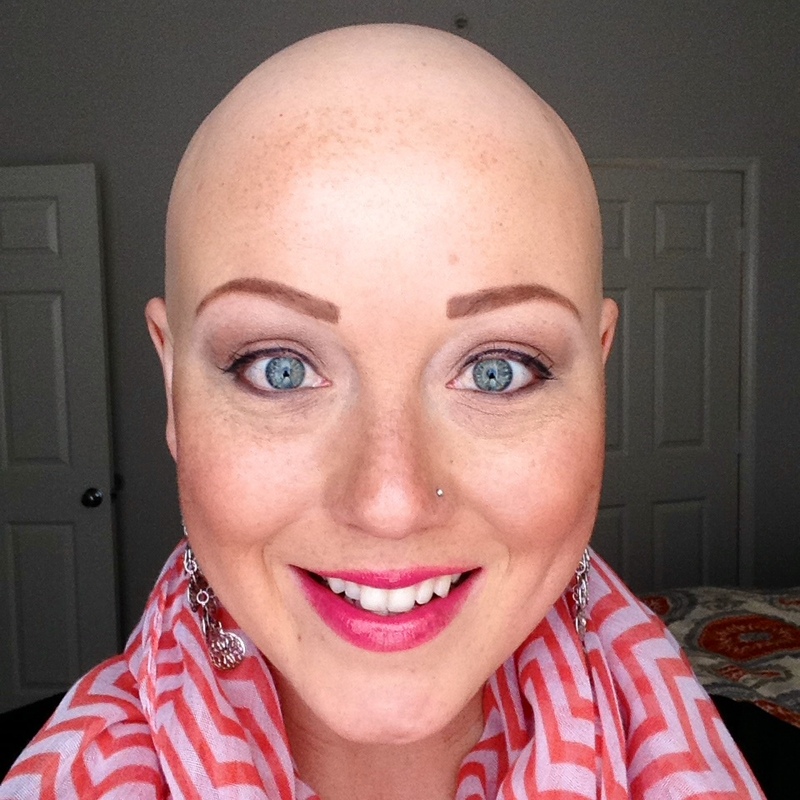 A bald woman, with light makeup and a chevron scarf. Wait, What? I think that’s me. Oh, yes. That’s definitely me. Time jolted forward faster than the speed of light. I heard my name. I heard Ellen say my name. She wanted me to come down to the stage. Is this a joke? Is this real life? Surprisingly, I made it down the steps and onto the stage without tripping and embarrassing myself. I wasn’t however, free from the sight of the camera catching my ugly cry. After hugging Ellen (yes, I hugged Ellen DeGeneres! ), I sat down and chatted with her. The cameras captured my fairly composed responses to her questions, though inside I was a deer in the headlights. We’ve all experienced moments where our dream transforms into a reality, and this was mine. 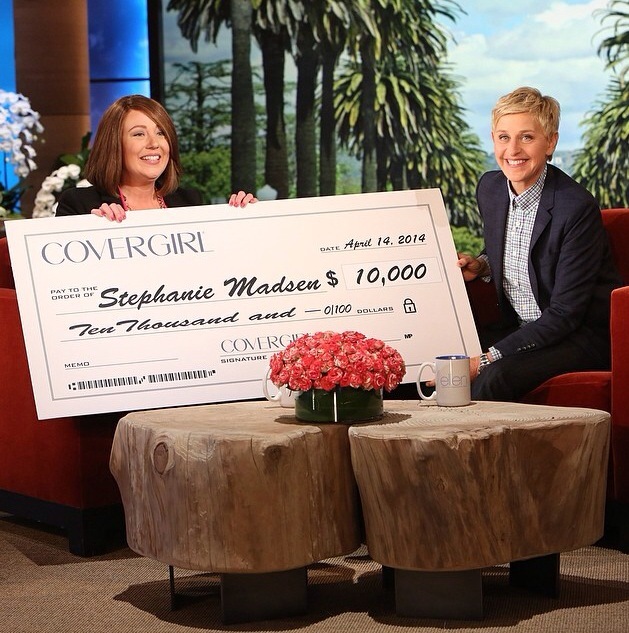 As if having a conversation with Ellen wasn’t enough, she surprised me with a check on behalf of CoverGirl to the tune of ten thousand dollars. At that point, I was astonished, amazed, and flabbergasted. Meeting Ellen DeGeneres, hugging, laughing, and sharing conversation with her would have been enough. However, in true “Ellen style,” she and CoverGirl so generously gifted Matt and I an amount that will help chip away the medical debt that has been accrued from such an arduous journey these past two years. Gratitude doesn’t articulate the depth of thankfulness that my husband and I have experienced. As I stated in an after-show interview, there would never be enough “Thank You’s” to Ellen and CoverGirl for the gift and opportunity they have given me. To be recognized for my message that bald is beautiful is an overwhelming honor. We will forever be grateful for what Ellen and CoverGirl have done for our family. The response from our surprise on The Ellen DeGeneres Show has been incredible and humbling. The posts on Ellen’s Facebook page and Instagram have received over 90,000 “likes,” and hundreds of comments. What has inspired and humbled me the most are the women who are posting pictures of themselves without wigs on in the comments. To know that my story is touching so many others, is breathtaking. It makes my fight worth it. Thank you all for tuning in and sharing such an exciting moment with us. Losing hair in an already difficult situation is like rubbing salt in an open wound. 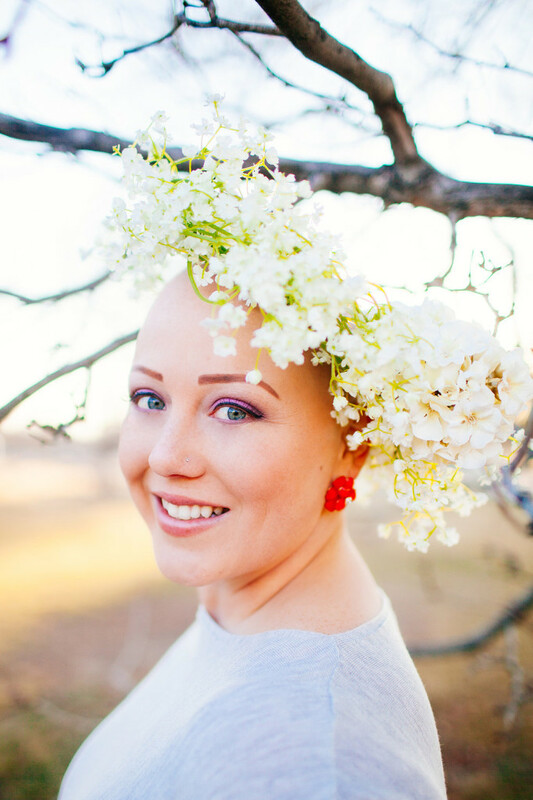 As if struggling to survive each day through treatments, medications, and poisonous elixirs isn’t enough, going through it bald is the proverbial cherry on top. I’ve been baldalicious for the greater part of two years, and have now learned to view it differently than I did in the beginning. My perspective has changed and a pride has emerged in the once desolate space of vulnerability. 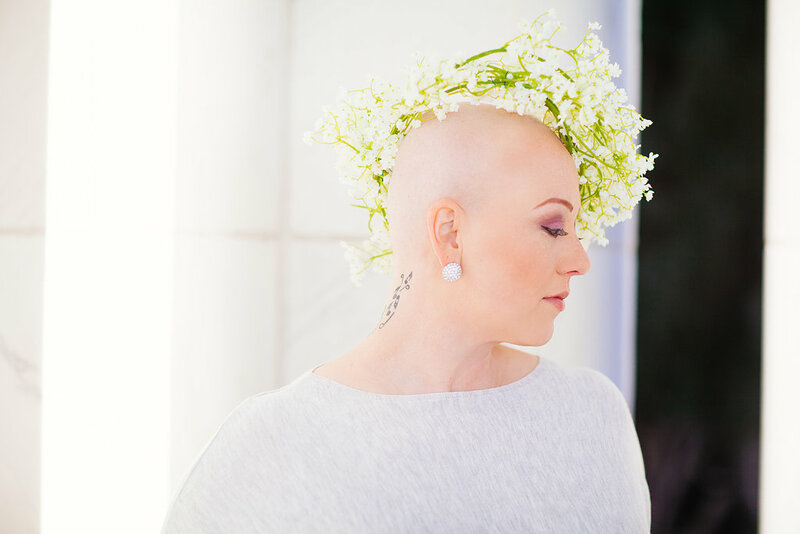 I am proud to be bald because being bald means I am a survivor. Being bald means I am still here. Still fighting. Still alive! Instead of viewing myself as a patient, I view myself as a strong warrior. Now, when out in public without a wig, I walk with my head high. I have nothing to be embarrassed about. Nothing to hide. 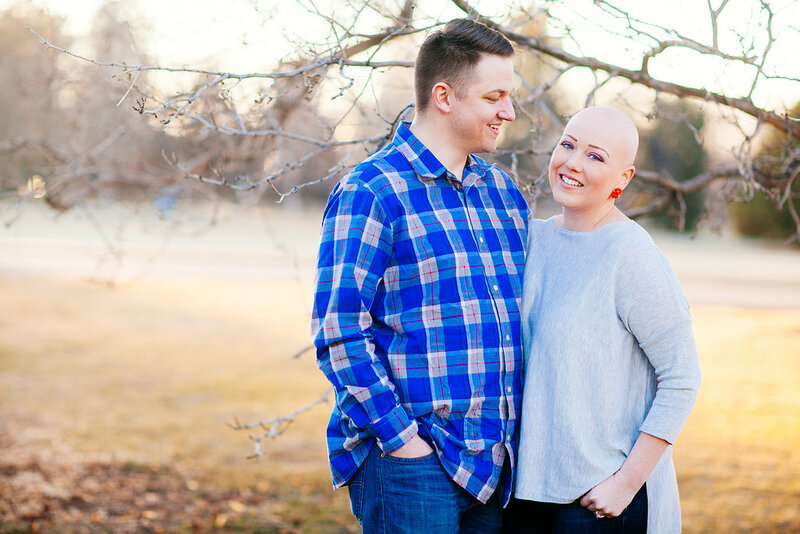 One month after my final chemotherapy treatment, I developed a longing to document my beautiful baldness. As illustrated as my journey has been, there was one thing missing — a gallery highlighting my bald head. 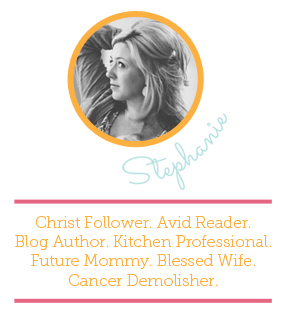 I wanted my badge of honor on display, in a way that highlighted the fierce survivorship that I so often feel. As usual, God’s timing is always perfect; Recently I was invited to be the subject in a photo shoot. After discussing my vision for the session, Kimberly met my husband and I at a park and we got to work. I was inspired to showcase the beauty in baldness, and brought along a headpiece that I put together. This photo shoot was such a special, intimate, and celebratory moment in time. Kimberly is a phenomenal photographer, warm and friendly face, and develops an atmosphere of comfort that is so needed in a shoot like this one. What she produced stunned me. She captured my vision to a “t,” and I will forever be grateful to have visual representations of the beauty in my baldness. I hope you enjoy them as much as I do. Bald should be celebrated, not hidden away in embarrassment. 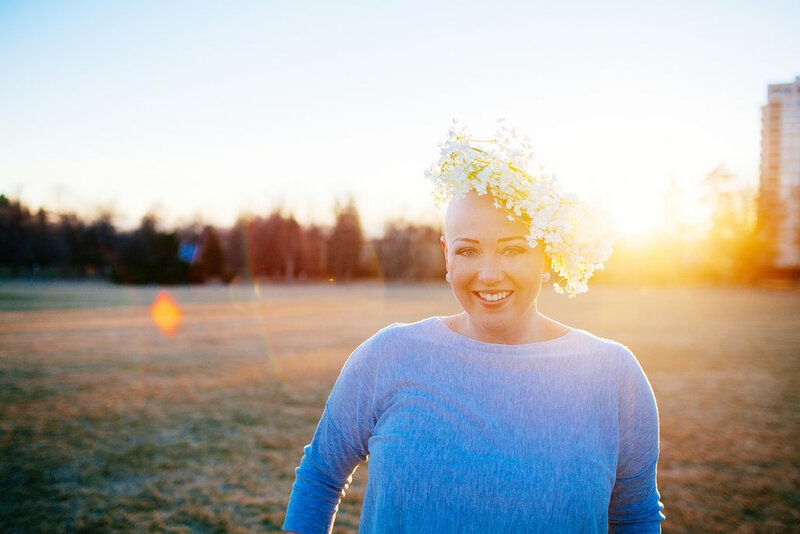 If you are bald from the effects of your courageous fight through cancer, embrace it! It is your badge of honor. You are beautiful! After all, we are survivors … our bald heads say so. When I was first diagnosed, several friends and family informed me of a non-traditional method of healing cancer. This modality involved a strictly fruit and vegetable juice diet. My husband and I watched half of the 1970’s documentary before cynically shutting it off. We didn’t truly understand the message behind it as it seemed more like a “Save the Seals” advertising campaign than a juicing documentary. People often come out of the wood work with the latest and greatest trends on how to beat the disease when cancer barges into the picture. I’ve shared about cancer etiquette, and among the list of things not to do when a loved one gets diagnosed is advising us of what treatment we should or should not choose. 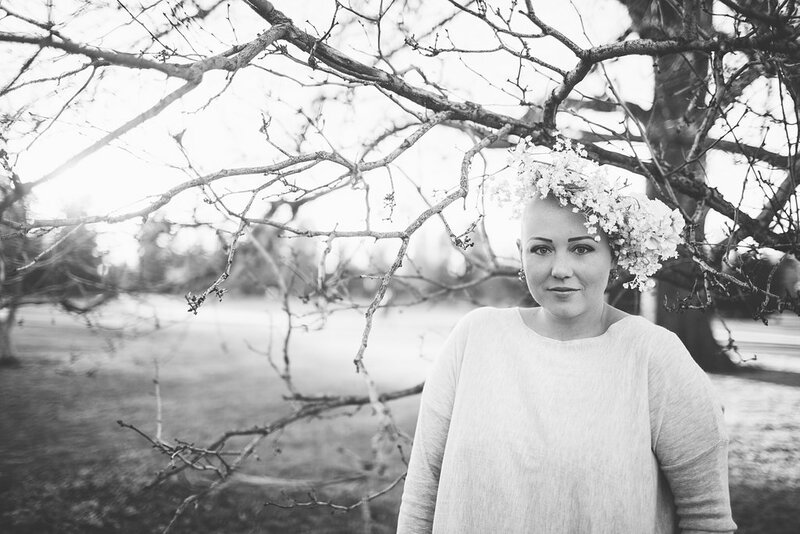 Every cancer patient is different, and different things work for different people. Not until Matt and I were surfing the queue on Netflix, did the topic of juicing ever come up again. Over one year ago, we came across a documentary called, “Fat, Sick, and Nearly Dead.” We watched it a couple of times and enjoyed it, but never once thought we could actually achieve what Joe Cross himself did. Without giving a play-by-play run-through of the film, I can tell you that the story is about an unhealthy and overweight man embarking on a journey to self-healing without the use of prescriptions, chemicals, quick fixes, or doctors. He committed to a simple juice diet. 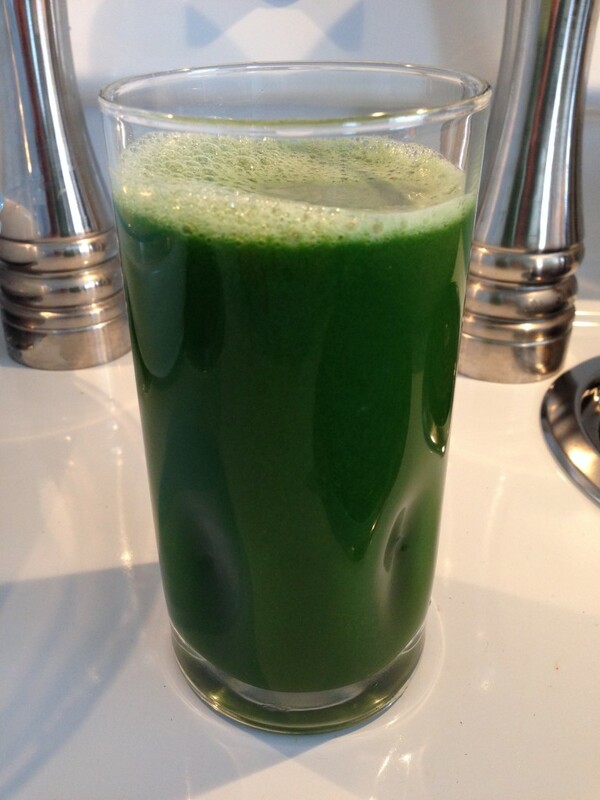 With a juicer in tow, and a never-ending supply of God’s beautiful creation, he began juicing. Each and every meal consisted of fresh fruits and vegetables pushed through a machine to extract the utmost nutrients. He committed to this way of life for 60 consecutive days, and his results were astounding. Do yourself a favor and watch it. Matt and I recently came across Joe’s film again and dared ourselves to try it. We aren’t overweight or unusually unhealthy. I’ve been a vegetarian for seven years — only recently adding fish to my plate every so often. I don’t drink soda, and stay away from caffeine completely. My vice will forever be a nice fluffy carbohydrate. I can’t get enough. But unfortunately, that’s true for all of us — carbs aren’t filling. They are evil little things that tempt even the strongest of wills. I ended my third season of grueling chemotherapy less than two months ago, but as usual, my body takes a while to get back into the groove of things once treatment is over. It has been fighting for survival amidst a constant stream of poison for the greater part of two years, after all. I’m not simply focused on losing weight. My goal is to cleanse my body of the toxins that have been streaming through it. To rejuvenate and resuscitate the insides of this machine. We are only given one body on Earth, and it’s up to us to treat it well. It was time to clean out the old and welcome the new. Before we knew it, our dare led us to become the owners of a gorgeous Breville juicer, and we stocked up on more fruits and veggies than we had ever seen outside of a market. Matt and I decided on a five-day juice cleanse and visited the recommended website to catch up on all the must-knows. We gathered recipes and posted them to the fridge, and before we knew it, we were ready. 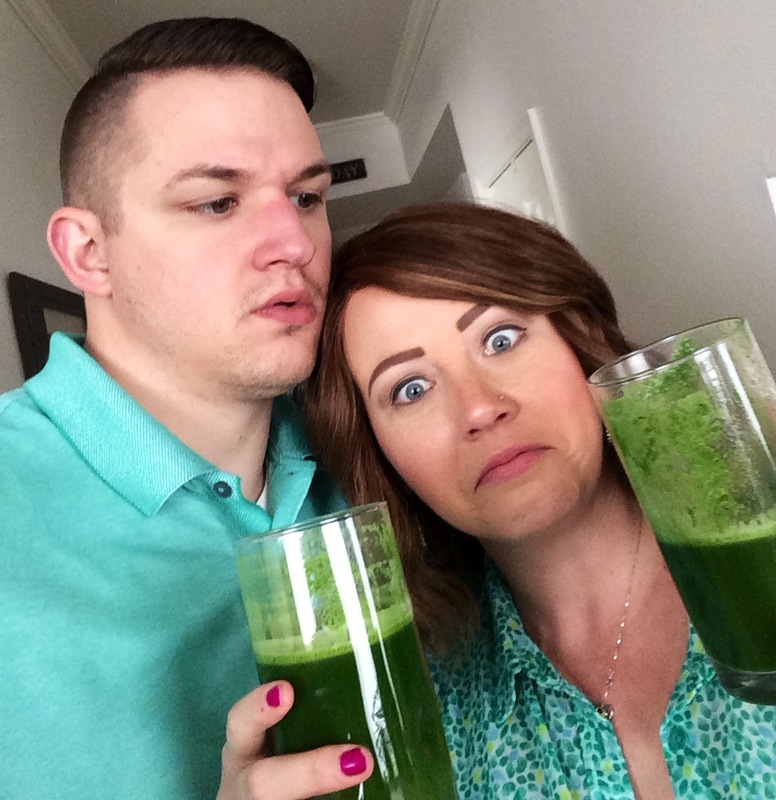 Our first official juice cleanse began three days ago, and I am already amazed at how I feel. 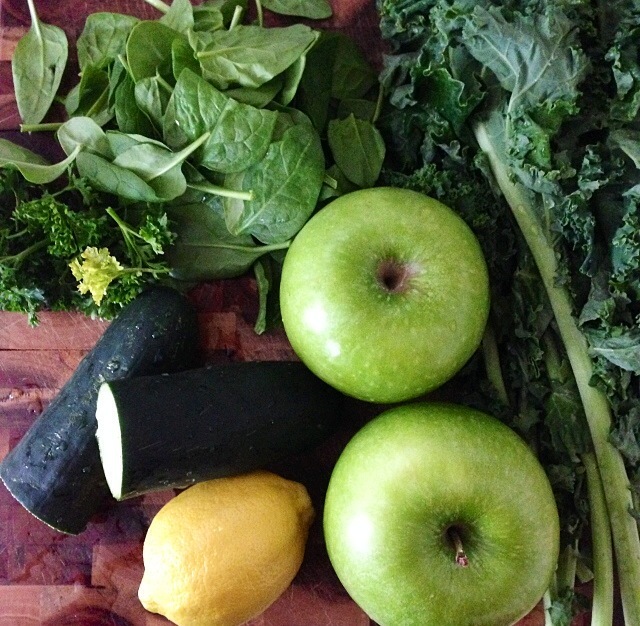 I’ll admit the first green juice we drank made me gag. It was a combination of flavors that I wasn’t accustomed to. Yet, my husband and I continued on, and I’m thankful that we did. I just finished my “dinner,” and feel satisfied and full. On the menu for tonight was kale, green apple, lemon, celery, spinach, and parsley. It was delicious. After drinking a few of our homemade concoctions, my energy was soaring. Even today, completing the third day of our juice fast leaves me feeling accomplished. This cleanse hasn’t been smooth sailing from the start, however. The first day was the hardest. It just didn’t seem right to not chew my food, and only drink it through a straw. I experienced cravings, and I couldn’t watch TV. Do you realize how many food commercials we see every time we sit down to watch the tube? It’s ridiculous. Pinterest began to taunt me with its endless recipes, and I’ve had to avoid and ignore it. Pretty soon I was acclimated and no longer experienced unhealthy cravings. Don’t get me wrong, I still have cravings. Right now, I’d love to bite into one of the juicy apples resting on the kitchen counter, but the unhealthy desires have been curbed. Soon we begin day four of our five-day juice fast, and I’m already beginning to play with the idea of continuing beyond our original plan. I’m feeling strong, energetic, and clear-headed. I have no desire to lounge around, and find myself brainstorming what projects can be done in the house. I’m sleeping better than I have since receiving my cancer diagnosis over two years ago. Typically I have to take melatonin right before bed in order to fall asleep and stay asleep, yet I have stopped taking it, and have slept better these past two nights than ever before. I’m officially a believer in juicing. We’ve got two more days to go and endless amounts of kale and spinach to ingest, but with every day that passes, I find myself feeling healthier. My body is rejuvenating, and I am hopeful, excited, and happy. Yesterday, I came across an article. It’s a story that gripped me and had me feeling both triumphantly exuberant and downright disappointed. This story is about a little girl who has lost her hair in her ongoing fight against cancer, her friend who decided to stand beside her, and a school who punished them for it. The school chose to send the friend home, because her shaved head violated school dress code policy. Delaney Clements is a strong 11-year-old girl fighting neuroblastoma, a childhood cancer that develops in nerve cells. Kamryn Renfro is her 9-year-old friend who clearly has a heart of gold and more character than most at her age. 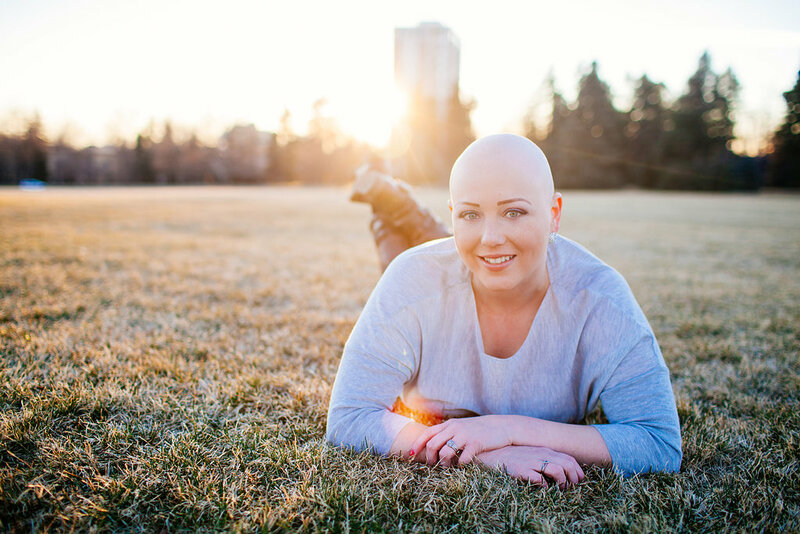 Due to her chemotherapy treatments, Delaney has lost her hair. She is baldalicious and exudes such joy with her smile. Recently, Kamryn chose to shave her head as a way to stand by her friend in support. As a way to offer encouragement and to let Delaney know she was not alone. Kamryn made the decision to support her friend, against all odds and no matter the sacrifice. This act of bravery from such a young girl is extraordinary. How many of us can say that we would do the same? What happened next left me feeling disappointed and shocked. The school felt that Kamryn’s act of kindness, friendship, and support went against their dress code policy. They informed Kamryn’s family that she would not be allowed to attend school until her hair grew back, or until she arrived wearing a wig. Apparently, her bald head distracted other students. However, was it a negative distraction? I don’t think so. If anything, their fellow peers were given a rare opportunity to see what love really is. This act of solidarity could have been used as a teaching moment. A lesson that could not be explained with flash cards or times tables. Our world needs to be distracted more often. Our eyes need to be taken away from the meaningless and be redirected to the meaningful. Sometimes lessons cannot be taught through a textbook. Having lost my hair several times over from the slew of cancer treatments I’ve received over the last two years, I understand what it feels like to be bald. It can be isolating and scary. Many don’t realize the amount of value we place on our hair until we no longer have it. Being bald has often left me feeling vulnerable and different. Being bald is a physical reminder of the battle for survival. I am nearly 20 years older than Delaney, and can’t even fathom what she has had to go through at such a young age. By punishing Kamryn for her act of kindness, this school has sent a large message. While I understand the importance of rules and regulations in schools, the administration carelessly looked over the benefits of this situation, and reacted improperly. Children should not be punished for doing the right thing. We should instill values into our youth, so that when they grow older, they will treat others with compassion and care. Do we want our children to remember moments like this as an example of what is not allowed, or rather an example of what it means to love? Acts of kindness should not be rebuked. What Kamryn did for Delaney should not be punished. What she did should be praised. She responded to an urging of compassion in her heart by extending support to another. She stepped out in courage and bravery to do what not many would. She symbolically held her friend’s hand and let her know she was not alone. And I applaud her. Thank you Kamryn for rallying by your friend and showing her support and encouragement. Thank you for showing her that she is not alone and doesn’t have to be the only one who looks different. Thank you for your courageous spirit and your brave response. Thank you, Delaney, for your strength and courage. Thank you for showing the world that bald is beautiful. Thank you for inspiring those of us who are fellow fighters and survivors. 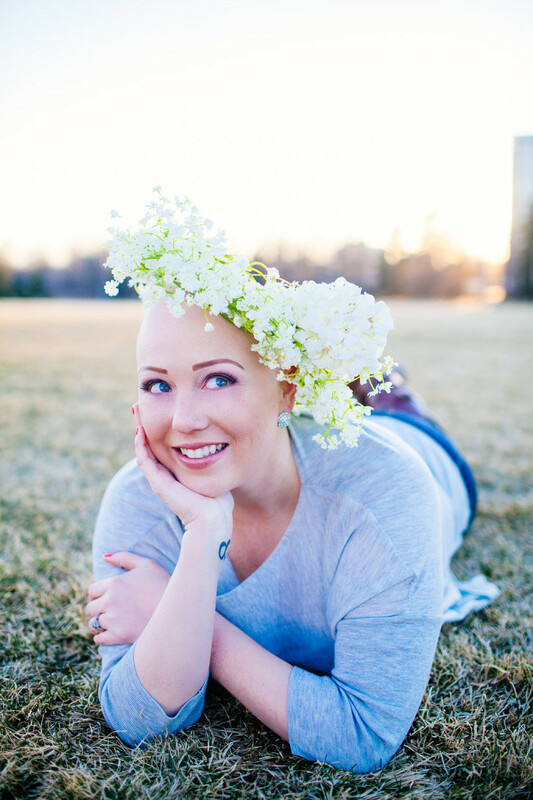 Thank you for your contagious smile and bravery. Kamryn and Delaney have defined what courage, friendship, and bravery really mean. Today, I stand with Delaney and Kamryn, and urge you to do the same. Update: After all the media attention on the story, the school has since reversed its decision.